We are a family-owned company that supports a team of 7 people. We work Monday through Friday 9:00 am to 4:30 pm PST (Olympia, WA, USA). We believe in families and know the importance of our team being able to spend quality time with their families on the weekends, which is why our office and warehouse is not open on the weekends. Although you may see Ana or other team members posting on social media over the weekend, emails and phone calls will be answered on Monday. Click on the picture of the item you want. You can either continue shopping or proceed to checkout. When you're ready to checkout, add your postal code or zip code so our system can calculate the postage. Enter your payment information and correct address. Please double check to verify it is correct. Enter payment information and click the “pay for order” button. How do I find out how much the shipping charge will be before I order? USPS shipping charges are based on the weight and size of your order. Our system can’t calculate your cost until you enter your address. To figure out what the shipping cost is for your order, add the items to your cart, add your postal code, and our website will give you a breakdown of the cost of your items, shipping costs, and any relevant sales taxes before you enter your payment information. We only offer a coupon code during our January and July sales. To be alerted of the upcoming sale and to get the code, please join our email list (sign up on the bottom of our website). If you know your card is in good standing, most likely it is a result of the billing address entered not matching the billing address that your credit card bank has on file. Even if you only make a mistake on the zip code, the order will be declined by your bank. If you’re having issues, please contact your credit card company to help you. Why can’t I use my language’s characters that are different from Latin based alphabets? Although our shopping cart system will accept different characters, your address must be in English characters or our postage printing software will reject it. This means we won't be able to ship you your order until we get your address in English characters. If you do enter non-English characters, we will refund your total purchase price so you can place your order again with English characters. Please give us a call during our business hours if you have any questions. We make every effort to ship orders within 72 hours of receiving them. We print the stamps from the previous day’s orders in the morning. If orders arrive in the afternoon or evening, they won’t be printed until the next morning. If you place your order after 9 am PST on a Friday, your order won’t be printed until the following Monday. At this point, this is the lowest cost to you for shipping over other delivery providers. Can I give special instructions of where to put my package? Alas, no. Our ability to watch over your order and handle it with love ends when your order is delivered to the post office. (We're here to help with any issues you may have once you receive your order, though! Make sure and contact us if you have any issues. We aren't able to communicate at all with the individual postal worker that will carry your package to the address you provided. And unfortunately, not all postal workers are as committed to Delivering Bliss with the love and attention we give to our customers. I put in the wrong address. Can you fix it before shipping? We can try! Email us or call us quickly after you place your order. (Please have your order number handy.) We print 400+ orders per day, which makes it pretty challenging to find one specific order after it has been printed. Please double and triple check your address before finalizing your purchase. Once we have finished processing and packing your order, you will receive an email with the www.USPS.com tracking number. Visit www.USPS.com and enter the tracking number you have received in an email. They also have some cool features like the option to sign up for text or email notifications, schedule delivery alerts, request redelivery, enter USPS Delivery Instructions™, and more. This tracking number will not work on UPS or FedEx websites. Do you ship Bliss Kiss™ products internationally? Yes, we ship products internationally from our website at www.MyBlissKiss.com. Sadly, we aren't able to ship to UAE or Kuwait. Our customers who placed orders from these countries never received them and the packages were never returned to our warehouse. Our deepest apologies to customers in these countries. International shipping can take 2 to 6 weeks, with the average being 2 to 3 weeks. Every once in a while an international package will be thrown in the wrong bag and go to a completely different country and take a bit of a "scenic route" to get to your front door. Unfortunately, packages that have been sent on such a "scenic route" will return to the US (usually New York), and then will be resent to your address (hopefully without a secondary side trip). We have no control over this USPS error. But we feel your pain while you're waiting for your order to hurry up and get to you! We get the frustration of getting excited to make a purchase and then the sting to your pocketbook when you see the shipping costs on checkout. Unfortunately, we aren't able to control the cost of shipping. We charge exactly what USPS charges, and we don't pad the postage costs with additional fees. If we were to use FedEx or UPS, the shipping charge would be $80 or more. Remember, the shipping charge pays for all of the people who handle your package, as well as the fuel for planes, trucks and automobiles. To date, we have not found alternative shipping options that would allow us to ship Internationally at a better rate. We will continue to look for other options to better serve our International customers. Why is my package stuck in Kent, WA or Los Angeles, CA for days and it still says processing? We don’t know why, but these two postal hubs can be like a black hole. Packages go in and never leave. We don’t understand why. If your order seems to be pending in one of these locations for more than 4 days, please email your order number to us at info@myblisskiss.com. We will reship your order at no charge. Do you replace damaged or lost in shipping orders. Yes! We will replace your order one time at no charge if your tracking information shows that it has not been delivered and has gotten lost. If the replacement order doesn't arrive after 6 weeks, we will issue a refund. My tracking number shows that my order has been delivered but I don’t have it. No one is perfect. Including postal workers. With all the hundreds and thousands of pieces of mail a postal worker handles in a given year, it's inevitable that there will be a few mistakes here and there. Hopefully, your order won't be in one of the delivery mistakes pile... but it happens. If you do see that your package has been delivered, call your local post office or check with your neighbors to track down your package. We are committed to delivering Bliss! Please email us or call us right away if there's an issue with your order and we will take care of you. Our primary customer service channel is through email or phone - not social media. Social Media leaves too much room for us to miss your post, and we absolutely do NOT want your cry for help to slip between the cracks. Email your order number to Info@MyBlissKiss.com or call us during business hours at (360) 507-8334 and we will do our best to help you. Why aren't your products in stores? For the most part, we are so committed as a company to delivering life-changing products with an exceptional customer experience that we have made the choice to sell mostly from our website and from Amazon.com. We wouldn't be able to guarantee that you would be given the same exceptional customer service experience if you were to purchase our products in most stores. And you're too important to us to let that slide! Because we are so dedicated to delivering an exceptional customer experience, we are very selective in who we choose to offer wholesale pricing to. At this point, wholesale pricing is available only to high-end Spas and Salons with exceptional reputations for delivering great customer service. At this point our business is growing so rapidly, we don’t have the capacity to keep up with the volume of other wholesale accounts. Our mission is to provide life changing products with an exceptional customer experience. If we sell wholesale to other people or countries, then they are responsible for the customer care of their sales. It may not be up to our standards and we won't be in a position to make things right with the customer. We really do care about you and your satisfaction with your product too much to risk a bad experience with a distributor who may not take the same level of care and effort that our team will. 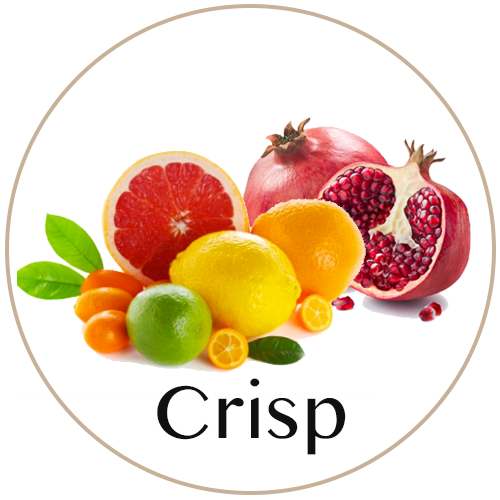 Crisp: An intoxicating and effervescent blend of lemon zest, pink grapefruit, juicy pomegranate and spiced vanilla embody the subtle freshness of Crisp™. We're pleased to be able to say that Crisp has a 99.9% LOVE rate among thousands of customers. 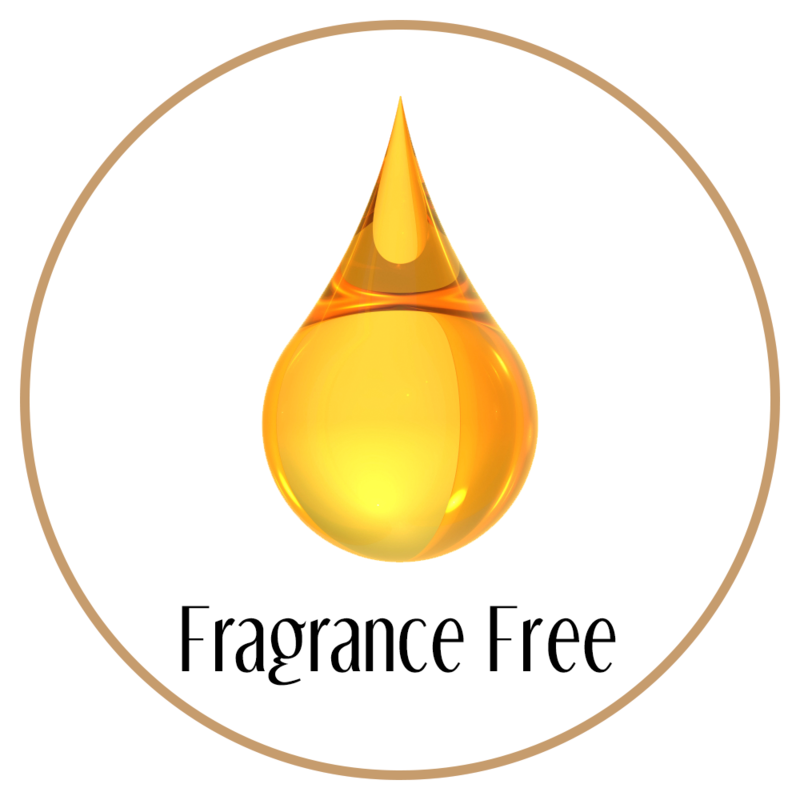 Free: The same amazing oil minus the fragrance oil—for those with allergies to essential oils or have a history of allergies to skin care products. 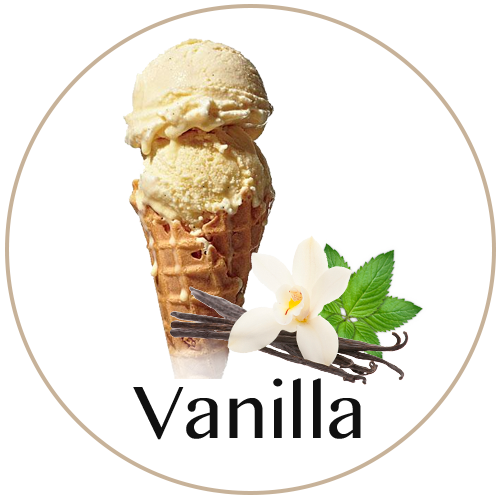 Vanilla: Everyone loves vanilla, so now you can have Pure™ in vanilla as well! 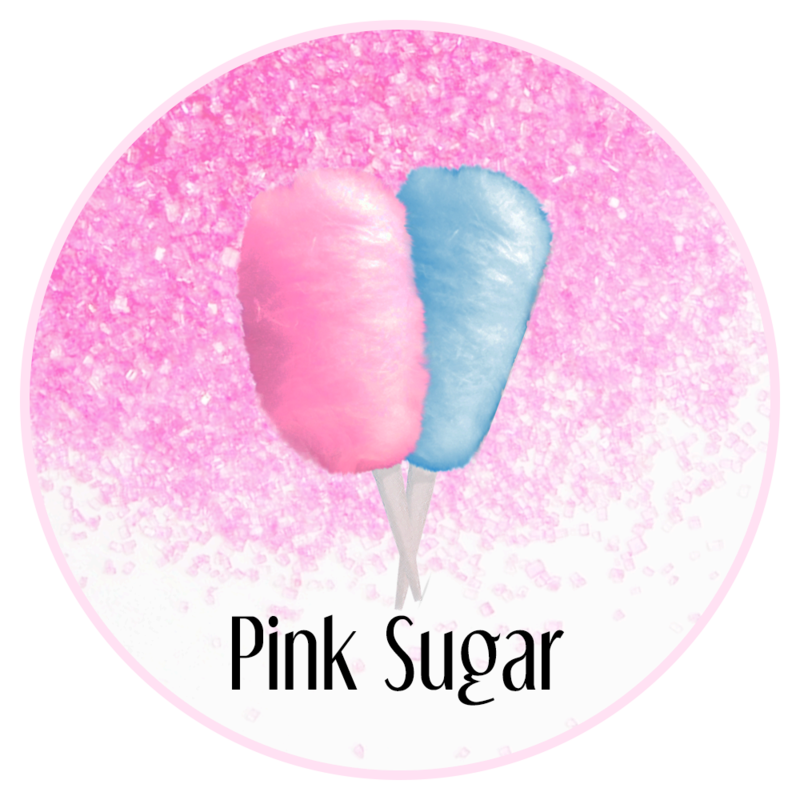 PS: Pink Sugar is really yummy smelling when mixed with our Crisp fragrance. 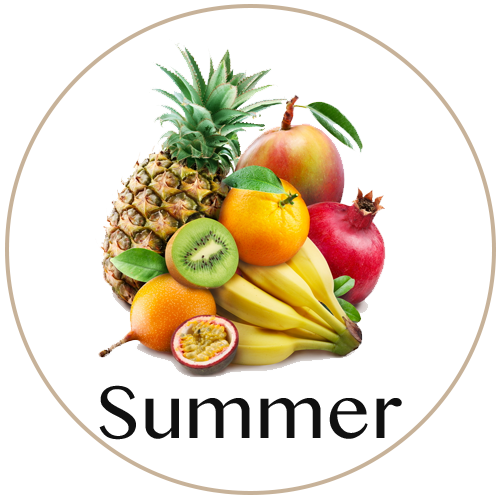 Summer: Our new Summer fragrance is a delicious blend of warm, creamy coconut, sweet pineapple, with a tropical vanilla base. Use our Summer oil on your nails and you'll feel just like you are in the tropics! 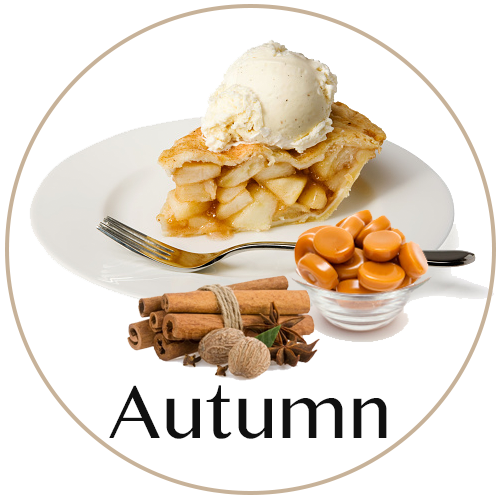 Autumn: Our Autumn Fragrance is a yummy blend of baked apples, vanilla, cinnamon, cloves, and nutmeg with a hint of sweet pumpkin bubbling in a flaky crust. Then top it with vanilla ice cream. There’s nothing like fresh baked pie, and this new scent has captured just that! Autumn is a "slice" above the rest. 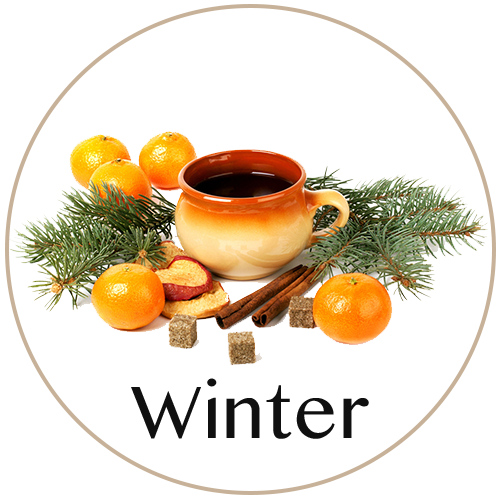 Winter: When you apply Winter Fragrance, you’ll feel like you walked into a room filled with the aroma of a freshly cut Christmas tree and citrus mulled cider simmering on the stove. How durable is the the Simply Pure™ refill pen? The oil pens are sold to us as a single use item… once it’s empty, the manufacturer of the pens cannot guarantee they will continue to function if refilled. However, we are a very eco-conscious company. Cory and a number of our customers and he figured out how to pull the pens apart to refill them. It can be very difficult to pull the pieces apart. It's not uncommon for the working parts of a pen to break with the first attempt. We can not guarantee that the pens are refillable. Some break upon taking them apart, some last a few fillings, and some last a year or more, to the point where the oil go rancid in the bristles. In short, give it a try. There are a number of videos our Blissettes have created on their techniques for pen refilling that are available on YouTube. Can the Simply Pure™ pen be refilled? The pen is sold to us as a single use item. Cory and I are eco-friendly so he figured out a way to get them open to refill....so less of them go in the landfill. That being said...we can't say how long they last. Some break upon taking them apart, some last a few fillings, and some last a year or more, to the point where the oil go rancid in the bristles. Here is a link to refill instructions. How long will the pen usually last before I will need a new one? If you’re doing the Three Day Hydration challenge, you might use up the pen in the 3 days. After that the pen will last 2 to 6 weeks depending on your usage. The oil has a 6-9 month shelf life, which is shortened with extreme heat, like a hot car. My oil smells different than when I bought it. Is it bad? Technically no, it’s not bad. Grape seed oil is one of the more volatile ingredients in our oil and it begins to break down after about 6 months or in higher temperatures. If your oil smells a little different, it will still work just as well on your skin and nails. The smell may not be as pleasing to your nose as it was when you first purchased it. PRO TIP: To extend the life of your oil, don't store it in a warm place (like your shower or your car). Simply Pure™ does very well when stored in the fridge and shelf life can be extended well beyond the standard 6 months. My oil has changed color. It looks pale compared to the golden color it was when I received it. Sunlight causes the oil to change colors. The process is called Photo Bleaching. This usually starts to happen within 6-12 months. It’s best to store larger sizes of the oil in a dark space, like the refrigerator or freezer. Avoid storing your oil in the bathroom near the shower or in your car. The oil is making my skin red or itchy. This can happen if you are allergic to one of the fragrance oils or one of the other ingredients in our oil blend. If you know you have sensitive skin, it is best to start with an order of fragrance-free Simply Pure™ and add the scent sample pack to test on your skin. The oil is making my skin drier and irritated. This allergic response that indicates you're likely allergic toVitamin A (Retinol) allergy. Give our team a call. We are happy to provide you with a free Vitamin A sample or refund your purchase price. We'll take care of you! Can I purchase a 2 oz option of Simply Pure™ Hydrating Oil? At this point, we do not offer a 2 oz option. We are committed to only delivering the freshest of product. The batch of Simply Pure™ you receive is made no more than 2 weeks before it arrives at your door. As a small company, it makes it a lot harder to make sure that you have super fresh product if we offer more size options. Why don’t you offer a lot of scents like other small independent companies? We do bring out a special fragrance with each new season. These Seasonal Fragrances are made in small batches and are hand-filled. If you want to test out our fragrances, we recommend you get the Fragrance Scent Samples so you can test how your skin responds. Can Simply Pure™ help with skin problems? Yes, although I am not a medical doctor so I can’t make any claims. Our boys use the oil to keep their eczema symptoms at bay. We’ve had a number of customers tell us that it helps with their psoriasis. Ana’s mother used it on her 2nd tattoo. She reported that it healed three times faster than her first tattoo. We have many customers who really appreciate our oil, lotion stick and whipped body fluff to help with dry skin and nails during chemotherapy. We've created a special Closed Facebook Group for people who are using Simply Pure™ to help treat the symptoms of a number of different skin disorders. It's free to join and you'll get personal access to Ana and team to support you. Can your nail and skin care products be used on feet? Absolutely! Since we aren’t doctors, we are not able to make any medical claims. We do know that the oils are naturally antifungal, antibacterial, and antimicrobial. Simply Pure™ and Simply Sealed™ Lotion Stick are FANTASTIC for helping with dry, cracking skin on feet and heels. You can get your feet flip-flop ready in no time! My cat/dog/child ate my Simply Pure™! What should I do? When we developed Simply Pure™, we wanted to create a product that was safe. The ingredients we selected are non-toxic in the quantities added. We always recommend you check with your child's physician or your pet's veterinarian. Here is the list of ingredients and the amounts for the Tea Tree oil, Vitamin A, and Vitamin E for easy reference. I’m allergic to latex. Will you make a latex free version? At this point, no. Ana is very picky and perfectionistic about the requirements she has for the product she creates, because all products must meet the Bliss Kiss™ standards. We have been chatting with our vendors about other formula options, but at this point, it will be a while before we are able to offer a latex-free option. Why does Simply Peel™ smell like that? Ammonia is the preservative for latex. We've received a number of reviews on our website and on Amazon from customers who wrote that Simply Peel™ does not have as strong an odor compared to other latex products. We have been working with our manufacturer to create different formulas with less ammonia. It's a tricky formula change, though, and we do not want to compromise the functionality of Simply Peel™. We will let you know when that option becomes available. Should I keep it in the dark? Yes. Light degrades latex. Simply Peel™ has a 6 month shelf-life, so use it up! You can prolong the shelf life of your bottle of Simply Peel™ by keeping it in a cool, dry place like your desk drawer or closet. It can also be affected by heat and freezing, causing your Simply Peel™ to dry up. My product has gotten hard. Can I mix water in to fix it? My brush is getting goopy. How do I fix it? Rinse the brush in soap and water. Remove any balls of latex with a toothpick. The bristles of the brush are held with one tiny staple. Be very careful to not pull too hard. We do offer replacement brushes so you can get the most out of your purchase of Simply Peel™. How do I replace the brush? Rinse the brush in water to remove the latex. Grab the brush and pull hard to pop it out of the cap. Drop the replacement brush into the bottle. Tighten the lid to pop the two pieces together. How do I get my brush to stop getting gunky? Rinse the brush in soap and water before putting it away. Be sure to keep the bottle closed as much as possible. Why can't I find your base and topcoat anymore? What brands base and topcoat do you recommend? Before Ana discovered her top coat, her favorite was Sally Hansen Insta-Dry. It comes in a red bottle and is available in stores that carry the Sally Hansen brand. When looking for a base coat, make sure it’s labeled as “ridge filling”. It should have extra proteins that thicken it up to fill in the grooves between your ridges. Don’t pick one that claims to have ridge filling fibers… they only make your nails feel fuzzy. What's the difference between Simply Kissed™ Lip Balm and Simply Sealed™ Mini Lotion Stick? Simply Kissed™ Lip Balm it made using a different recipe. The lip balm recipe has been specially formulated to keep lips moisturized. Lips have different needs than the rest of your skin. Your lips have minimal to no sebaceous glands (our glands that make oils) and zero sweat glands. The rest of your skin has these glands and has different hydration needs. Water loss on the lips is three to ten times higher than other parts of the face or body! These physiological facts combined with climate changes (winter dryness, living in an arid climate), all contribute to making dry lips a recurring, persistent problem. In short, Simply Kissed™ lip balm is formulated to work best with your lips' unique hydration needs. Simply Sealed™ lotion stick is formulated to moisturize skin and work with our body’s natural oils. Is Ana a Real Person? Yep! She’s a mom to four children and happily married to her high school sweetheart, Cory. You can read more about her here. Or catch her on her Instagram and Facebook Lives. You can always catch the replays on our YouTube Channel after we get them posted. Why don’t you accept Direct Messages on Instagram? We are trying to streamline our customer support to make it a better experience for you. It’s too easy for questions to get lost or mixed up with other questions on social media. If you have any issues, please email us at Info@MyBlissKiss.com. Where do you host contests? We host varying giveaways and contests on both Instagram and Facebook. We change the different giveaways we host to keep it fun and interesting. Make sure you follow us to enter for your chance to win! My nails are a mess. Can you help me? There are a huge amount of things we do with our hands that can affect the Simply Pure™ hydration treatment. Did you do the 3 day hydration per the instructions? How many times did you oil your nails? How much oil did you use on each nail? Did you put polish on after 3 days using the Fab 5 Wrap Technique? What are your hobbies? If you like doing things that use your hands a lot, it can cause them to break a lot. How often are your hands in water? Do you wear gloves when working with water or chemicals? Do you do gardening, own dogs or horses? Do you use your nails as tools? Do you have small children? Most people with small children are changing diapers and washing their hands a lot! Try to wear gloves as much as possible. Have you had a stressful event occur in the last 4 to 6 months? (gotten a new job, lost a job or a loved one, moved to a new home, gotten married or divorced, been diagnosed with a health issue, started a new medication, or had a child? Stress significantly affects nail growth. But you won’t see the stress until the nail that was growing during your stress reaches your fingertips. It takes 4 to 6 months for the nail to replace itself. Once that compromised nail reaches your tips, they seem to “suddenly start” peeling, splitting or breaking. What do you know you are doing "right" with your nails? Most people are able to self diagnose by reviewing their answers to these questions. Ana has found the answer of #14 to be the guilty culprit about 90% of the time. If you still need more help, feel free to email us. 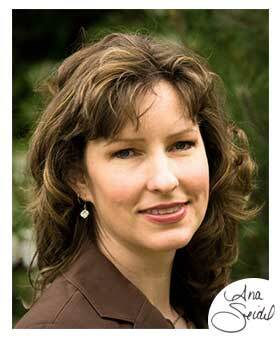 Our team will direct you to some of the 50+ articles that Ana has already written that could help. Ana is only able to give personalized nail health help by writing “Ask Ana” articles on NailcareHQ.com. You can also catch Ana and ask her your questions on one of her regular Live Video sessions on Instagram and Facebook. ARE BLISS KISS PRODUCTS CRUELTY-FREE AND VEGAN? We do not test on animals, and we do not ask others to test on our behalf. We do not own any animal testing facilities. Ana is our primary tester for all our products. We believe it is important to treat animals humanely and with respect at all times. We seek and partner with suppliers that share the same values as our company. 1. Do you test your finished products on animals? (you or a third party). Nope. We love animals and believe all animals should be treated with kindness and love. 2. Do you test any of the ingredients used in your products on animals? (you or a third party). Nope. Ana is our in-house tester. 3. Are you owned by any company? If so what is their animal testing policy? We own our company and do not test on animals. 4. Are you marketed in China (excluding Hong Kong) where animal testing is required by law? Are you marketed anywhere else where animal testing would be required? We do sell our products to customers in China. We comply with Chinese import restrictions and no, they don't require us to test on animals. 5. Do you own or are affiliated with any other company? If so what is their animal testing policy? Nope, we are not affiliated with other companies. Bliss Kiss™ products are not vegan, but ingredients are sourced from responsible vendors. Our lotion sticks and lip balm include beeswax and lanolin (the wax that a sheep's wool naturally produces). Lanolin is extracted from the wool of a sheep after the sheep has been shorn (which is like you getting a haircut - the wool is dead keratin (like your hair) and it does not hurt the sheep in the process). Sheep are shorn in the spring when temperatures warm up and helps keep the sheep cooler during the warmer spring and summer months as its wool grows back, similar to your hair growing back after a haircut. Part of responsible care for sheep includes sheering them regularly to prevent their wool from becoming too heavy and matted. Heavy, matted wool pulls on the sheep's skin and can cause sores and lesions that can put the sheep at risk of infections and other health issues. Here's a video that shows the process of extracting lanolin from wool. We recognize that the use of any type of animal byproduct is a very sensitive area with many strong emotions for the well-being of all living creatures who depend on humans as their caretakers. We respect your choices and your values. As with consuming animal by-products like chicken eggs, many people are comfortable with eating eggs from free-range chickens that are fed a healthy diet and are not loaded with excessive antibiotics etc., animal husbandry can be a difficult and incredibly divisive topic to find a common ground that all will agree upon. We love animals. We do our very best to ensure that our suppliers treat animals with kindness and respect they deserve as living creatures. We do regularly revisit our recipes and ingredients to see if there are equivalent alternatives that deliver the same quality and results with our products. We will continue to do so to continue to offer responsibly sourced, high-quality products.